EI's experts have a depth of experience in conducting compliance audits that is exceptional in the consulting industry. With training in environmental science, engineering and law, EI helps clients navigate through the maze of regulations to identify those applicable to their facilities. EI works with clients to identify practical approaches to maintain an outstanding compliance record and achieve best management practices that control costs and avoid problems. EI has provided compliance auditing services for facilities in many different states and has an outstanding knowledge of the regulatory requirements under relevant federal and state laws. If you would like to discuss how EI can assist you with environmental compliance and auditing services, please contact us at (206) 525-3362, or email us at staff@eiltd.net. EI performed dozens of on-site environmental compliance and conformance audits at VA Medical Centers and Community-Based Outpatient Clinics across the Western US, in order to assess facility compliance with all federal, state, and local environmental regulations. The audits required broad knowledge of regulations related to air emissions, ozone-depleting substances, petroleum storage, wastewater, asbestos, lead-based paint, and hazardous and medical waste. EI researched relevant regulations and wrote detailed reports compiling all findings, from major gaps in regulatory compliance to best management practice suggestions. The reports included specific advice addressing operational and/or administrative improvements. 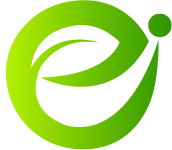 EI performed compliance audits and EMS based on the ISO 14001 standard. EI developed a customized compliance assessment methodology utilizing checklists concerning federal, state, and local environmental regulations applicable to Executive Services Division (ESD) facilities. EI coordinated the implementation of the environmental compliance assessments and completed a gap analysis to review existing ESD environmental procedures. Based on the results of the gap analysis, EI proposed a methodology for ESD to determine significant environmental aspects in conformance with the ISO 14001 standard. EI adapted the City of Seattle's Environmental Policy to fit in with ESD environmental procedures. Based on assessment findings, EI determined processes that still needed to be developed and assisted in the creation of those processes. EI then developed an implementation plan to meet the needs and characteristics of ESD facilities.